Hushed Commotion 2017 Best Sellers! 2017 was a great year for Hushed Commotion and we can't wait to continue adorning brides with our accessories in 2018!!! Our Paloma belt was truly the star piece for 2017! Above, she is worn as a traditional belt and below styled as a headpiece. This year, brides also loved our Corey and Piper Belts! Corey is perfect for brides looking for something a little more traditional, while, Piper is the perfect match for brides looking for a bohemian blush accent piece! 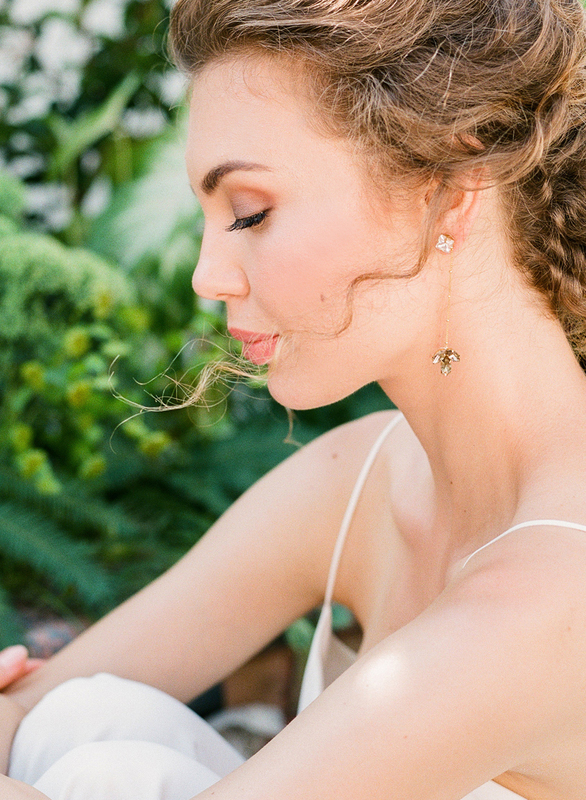 Brides LOVE Hushed Commotion Ear Candy. 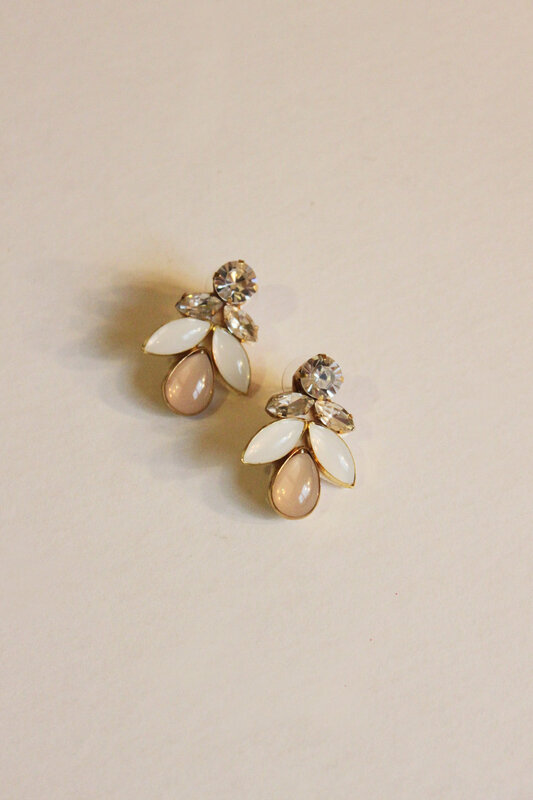 Mandy (above) was our best selling earrings for this year. She looks lovely paired with our Piper Belt. Runners up are Ramsey and Dia. Both are great for brides looking for a touch a minimalist sparkle. Our Quinn tiara was a fan favorite this year. 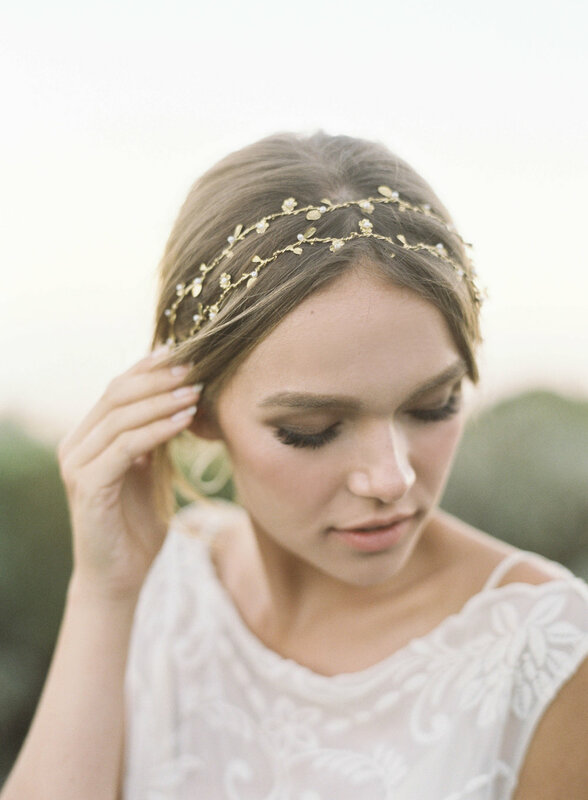 Brides particularly love Quinn in Gold and Rose Gold. Our double stranded hair vines are the perfect finishing touch for a bride looking for something simple & sweet. Here is Matilda in Gold with floral branch detailing & accented with pearls. Last, but certainly not least! oUR Carson cOMB is loved by many brides for its modern and streamline look matched with its great price point. A big thank you to all our brides and retailers who continue to support and inspire! Looking forward to what 2018 holds for Hushed Commotion. Cheers! New Hair Combs for 2018! New HC Tiaras and Hair Vines for 2018!